Bare Bones was recorded in Los Angeles at Henson Studios. 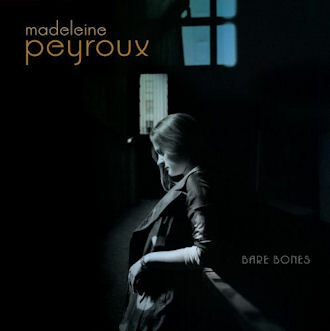 "Smoky voiced singer Madeleine Peyroux's earthy new album Bare Bones will be released March 10, 2009 on Rounder Records. Peyroux -- who's achieved critical notice and sales success with her signature 'postmodernist coolness' (LA Times) -- had a hand in writing all the songs on Bare Bones, including collaborations with album producer Larry Klein, Walter Becker, Julian Coryell, Joe Henry, David Batteau and Sean Wayland. One song, 'I Must Be Saved,' was written entirely by Peyroux. With Bare Bones, Peyroux has crafted her best album yet, an artistic breakthrough that finds her sublime voice wrapped around a collection of songs that she helped craft from their inception, marking her evolution as a songwriter."